Scientifically special care medicine to treat sinusitis can include prescription of antibiotics, steroids, anti-inflammatory, and in some cases had to undergo surgery. In addition there are 8 natural ways commonly used by people to treat sinusitis sinusitis them as traditional medicine, but before that they have to reduce drinking milk, cheese, ice cream, and yogurt which will help reduce the production of mucus and allow the sinusitis disease cured. 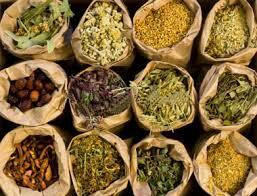 There are also herbal and homeopathic medications, nasal sprays, and aromatherapy oils can help reduce sinus swelling. 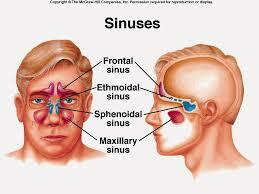 Here is a natural way of treatment of sinusitis. Andrographis paniculata (Sambiloto) leaf is very efficacious for treating various diseases, one of which is treating sinusitis in a way to shed Andrographis paniculata leaf extract (the Andrographis paniculata leaves can be crushed with a spoon until the water out of the leaves) into the nostril few drops (3 drops), it feels very bitter especially when into the esophagus, but efficacy for treating sinusitis is so powerful, did the Andrographis paniculata leaf droplet 2 days until your sinusitis recover. It is already a lot of people do. Only a few times, then you already feel Preferably, however, if the roughly sinusitis relapse, then drops back bitter leaf herb. You can also combine this treatment with a nasal wash with salt water using nettipot. 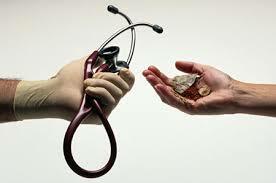 Alternative medicine more chosen people because they are cheaper and there are no side effects. But basically, alternative treatments cannot be used as a substitute for primary treatment. There are some alternative treatments are most in demand. Treatment alternatives exist in society today mostly do not yet have strong scientific evidence and mostly based on the experience of the patient alone. Though the scientific evidence to demonstrate the safety, efficacy and quality of a treatment. This condition makes alternative medicine is generally not recommended by doctors because patients will leave the main treatment works to treat her illness. 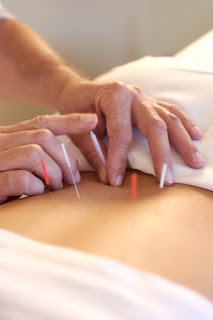 Acupuncture is an alternative treatment of the Chinese state or by inserting a needle into the body. Scientifically proven acupuncture to treat pain and nausea after surgery. Although for the pain, some people still consider it a placebo effect or suggestion only. Currently, acupuncture has been 'exported' to various countries around the world. In European countries such as the UK, almost half the medical practitioners of acupuncture training to be able to practice these skills in dealing with patients. As an alternative therapy, cupping practice or in Arabic called hijamah more and more in demand. This dirty blood sampling techniques can overcome many health problems, especially cholesterol and high blood pressure. Cupping can be divided into dry cupping and wet cupping. In the wet cupping, dirty blood removed from the artery. Because there are parts that are slashed, it must be done by trained personnel. While only a dry cupping suction to overcome minor complaints such as colds, can be done by anyone. 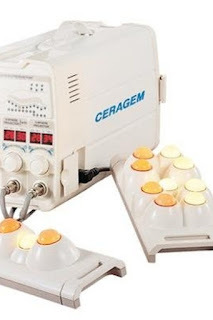 Ceragem therapy is a therapy that uses jade Korea with infrared technology. Infra-red rays can penetrate the body up to 14 cm at certain points so that the body feels warm. Jade are already hot will be moved to other body parts that have not been hot. This is what makes the circulation of a patient's blood to be smooth. Patients become more restful sleep so had better sleep quality. Gurah is one way of traditional treatment to remove mucus from the body using herbal concoctions. In the tradition of citizens Imogiri, Yogyakarta, gurah done by dripping Srigunggu (Clerodendron serratum) leaf extract into the mouth or nostrils, which made the Sinden (singer) to maintain sound quality. In its development, herbs are used not only Srigunggu (clerodendron serratum) leaves. Some therapists use other types of foliage, even the kitchen spices such as chilli and turmeric. Hypnotic commonly used for curative purposes, especially in the case of addiction, where the person cannot stop even after trying a variety of methods. In addition there are also other benefits, such as weight loss hypnosis, cure memory problems, insomnia, sadness, obsession compulsive disorder, stuttering, self-confidence, shyness, labour, skin problems, public speaking, anxiety, pain, habit disorders, and others. Hypnotic like this is known as hypnotherapy. Homeopathy is a form of alternative medicine in which health care practitioners will treat patients using the principles of the disease can be cured with natural ingredients that might be the cause. Homeopathic remedies claimed to work together with the immune system and defend itself from disease. This means that homeopathy can stimulate increases the body's resistance to infection, accelerate healing and prevent complications without side effects. Eastern Medicine and Western Medicine - The Different, In this modern age, we all must already know that so many kinds of chemical drugs. This is due to the number of new breakthrough in treating various disease itself. But one thing we must not forget that chemical drugs always have side effects for the patients themselves. Because of side effects, so many of the people who eventually turned back to traditional treatment methods. In addition to more secure because almost no side effects, traditional medicine was also relatively affordable. Perhaps it is better if we learn the methods of treatment adopted by China, where the treatment by medical science, also accompanied by traditional methods were modernized with high technology. Treatment of China is often referred to as Eastern medicine. Already we know, western medicine has found a variety of drugs ranging from aspirin painkillers, to medicines at exorbitant prices. Manufactured with advanced technology, derived either from organic material or inorganic. Organic compounds are compounds that will decompose in our bodies later, while inorganic compounds are compounds that do not decompose, such as sodium, nitrogen and metal compounds, such as zinc, magnesium, calcium and others. Stacks of inorganic compounds will be out along with urine. When we drink water about 2 litres per day, maybe it can be healthy kidneys, but if less than that, then we'll kidneys work harder, and certainly will reduce the life of our kidneys. Western medicine has a tendency to resolve the disease within a short time without taking into account other organs that may be disturbed by substances carried by the drug or long-term effects. As long as the disease is now recovered, it did not matter. Without taking into account the result of the next, or may be the element of intent, because one day the patient will come again with another illness, and of course, he also had the cure. This fact makes many people think that this treatment seems to show the existence of an element of the business, which is very strong. The concept of Eastern medicine is very different from the ways of western medicine. Our society has become first nature to always drinking herbal concoctions derived from the leaves to maintain health or to cure ailments, such as colds, coughs and so on. Eastern medicine is not directly cure the illness. However, removing toxins, or toxins in the body or blood of us with a certain potion. After that, the recovery of organs, which then would automatically improve the performance of antibodies in our bodies to fight the disease. In this system, the body will be directed to make its own antibodies which are permanent, not temporary and into dependency. Here is the real difference between Western Medicine and Eastern Medicine. 1. Western medicine more coming from the West Country, so that the orientation was to the west. 2. Material treatment using chemical synthesis, which is of course the use of chemicals. 3. Biodegradable synthetic chemical treatment is between 50 and 80%. 4. It is geared to eliminate the symptoms. 5. Characteristically symptomatic only to reduce suffering. 6. Characteristically palliative means healing speculative, if appropriate disease will be cured, if not would be a dangerous poison. 7. Preferably for diseases that are acute (need help immediately) such as acute asthma, acute diarrhoea, fractures, acute infections and others. 8. The reaction was quick, yet destructive means to weaken the other organs, especially if used continuously for a long time. 9. The side effects that can be caused by irritation of the stomach and liver, kidney damage, resulting in blood fats. 10. Treatment of synthetic chemicals in the long run may weaken the immune system of our body. 11. Western medicine uses the paradigm of "illness is the enemy", "disease is the enemy". 13. Symptomatic treatment, treatment based on symptoms. 14. Tests to the animals. 15. Newly discovered several years. 16. Most of the content in synthetic chemical treatments very rarely listed label "HALAL". Therefore most synthetic chemical drugs containing "dubious substances" or "hazardous substances". 1. Herbal treatment more excavated from the east, such as the Middle East, Asia, especially from China, Japan, Korea, India, and Indonesia. 2. 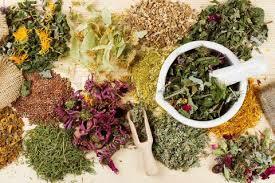 Herbal treatments use natural or organic ingredients. 3. Power absorption of herbal medicine is an average of 90%. 4. Directed at the root cause of disease and improvement of functions and organs are damaged. 5. Characteristically reconstructive or organ repair and rebuilding organs, tissues or cells are damaged. 6. Characteristically curative means to truly heal because of his treatment at the root cause of the disease. 7. Preferably to prevent illness, recovery complications of chronic diseases, as well as the types of diseases that require prolonged treatment. 8. The reaction is slow but it is constructive or repair and rebuild damaged organs. 9. Side effects are almost non-existent. 10. Herbal treatment is actually able to boost the immune system with better results. 11. Treatment of the east have a paradigm of "illness is not the enemy, but due to an imbalance of energy". 12. Addressing an integral (holistic). 13. 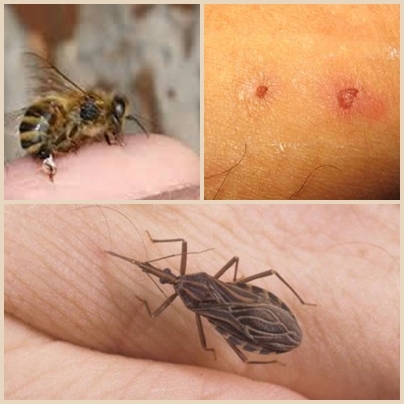 Causative Treatment, treatment based on the cause of the disease. 15. Tested for thousands of years ago. 16. Treatment of herbal rated lawful, since pure from plants or natural. 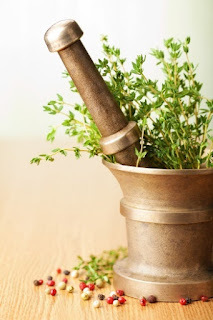 Herbal Recipes for Flu Disease, are easily found all around us. Actually, to relieve the flu, you only need enough rest to recover your body. In addition, you also need nutritious food intake as well as a shower with warm water. However, to speed up the recovery of flu, you can also consume herbal prescription drugs for flu, which has been proven to cure. There are 4 Herbal Recipes for Flu Disease, which is also at the same time relieve colds, fever, and headache. 10 pieces of betel leaf + stem turmeric 25 grams (cut into pieces), washed, then boiled these ingredients with 600cc of water until the remaining 300 cc. Strain the water and add honey or sugar cubes. drinking water 2-3 times. Every time you drink 100-150cc. Provide powdered dried Andrographis paniculata leaf, then take 1-2 grams of powder and brewed with hot water, then add honey, stir, and drink after warm. Do it three times a day. Provide a fresh Gynura Procumbens + 15 grams of Centella asiatica fresh, dry ingredients until clean, then blended + 150 cc boiled water, blended, filtered, water is taken 2 times a day. 10 grams of fresh ginger + 1 clove garlic, wash the material, then mashed, brewed using 200 cc of hot water, add the juice of 1/2 lemon and honey, then drink while warm. Do it three times a day. Thus Herbal Recipes for Flu Disease that you can use and hopefully this herbal recipes beneficial for you. Gastric organ is one part of the digestive organs. If the gastric organ is sick, can lead to decreased appetite and other disease complications arise such as bloating, malnutrition, become weak, dizzy and others. a. Unhealthy food (contaminated with bacteria and fungi). b. Irregular eating patterns, eating in a hurry. c. Excessive consumption of food or deficiency. d. Stress, the burden of thinking or psychosomatic. e. Due to the side effects of chemical drugs or drugs. Patients with gastritis and stomach ulcers generally have low tensinya characteristic, frequent colds, has a tendency production of stomach acid (HCL) is excessive. One of excess stomach acid is much slem / mucus in the throat, so when coughing, slam / white viscous liquid will come out. Excess HCL can result in the onset of flu symptoms. To diagnosed, we must be careful, because the flu can also be caused by viral disorders. 1. When the throat, strep throat will occur. 2. When on the nose, sinusitis will arise. 3. When the ear, there will be inflammation of the ear and hearing loss. Gastric disorders usually characterized by body temperature will rise, loss of appetite, nausea, vomiting and headache. Symptoms of kidney disease should be known, by both men and women, because kidney disease can affect anyone, especially those who do not maintain a healthy lifestyle. Symptoms of Kidney Disease can be found in the elderly, and even young people. According to one medical specialist in internal medicine, and renal consultant, namely Dr. Stump D. Situmorang, SpPD-KGH, he revealed that not a few people who are still young, but already experiencing kidney failure. Therefore, everyone should strive to keep their kidneys in order to function properly. 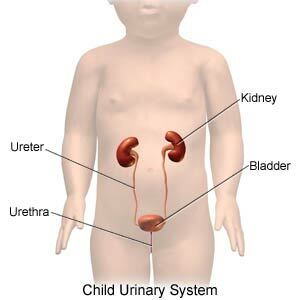 Kidney is one of the most important human organ that serves as a means of spending (excretion) which dispose of human remains of the metabolism of the human body. If the human kidney is not functioning properly then the metabolic waste that cannot be removed from the body would be a very dangerous poison and this is called kidney failure by the medical. What's Kidney Disease? When described in more detail kidney disease is a disease in which kidney function be dropped which resulted in the kidneys are less able to work well for filtering body electrolytes, maintaining the balance of chemicals in the body (sodium and potassium) in the blood or urine output and fluid balance. What causes a person affected by kidney disease? There are many possible causes for a person affected by kidney disease, including hypertension, diabetes, cancer, kidney disorders, urinary tract blockage or damage to cells in the kidneys filter function. Acute Kidney disease is a type of kidney diagnosis first. At this diagnosis, someone has decreased kidney function occurs suddenly. In some cases, treatment is given by way of treatment of dialysis therapy or blood laundering. Chronic Kidney Disease is a type of the second diagnosis. In the chronic kidney disease are phases or stages, starting phase 1, 2, 3 and 4. Patients have results glomerulus filtration rate, which is below 60 ml/min/1,73m2 and already more than three months. Type of chronic renal failure means that the damage has reached three months initially found that the structure of the organ histopathology functional kidney damage, i.e. abnormalities in the urine tests and blood tests. In the fifth stage of chronic kidney disease is terminal renal failure, where renal function has been greatly decreased patient or have the results of LFG is under 15ml /min/1,73m2 resulting in uraemia, the disruption of the blood platelets, so patients must perform the function of renal therapy as a substitute so that kidney function may be taken over in removing toxic substances (toxins) that are in the body. Moreover, in this phase is expected to sufferers also started keeping lifestyle behaviours to prevent the body in more dangerous conditions. Remember! An ounce of prevention is much more important and valuable than that of a kilo of treatment. 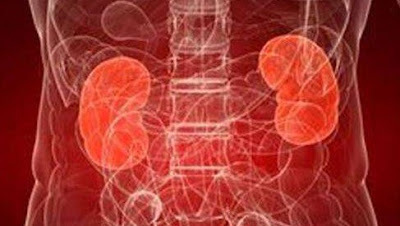 According to Professor Rully, I Kidney Disease is an advanced stage of chronic renal failure in the previous stages, the health of the patient's body in a stable condition. In addition, in some cases, essential for dialysis therapy or blood washing serves to replace the damaged kidney function so that patients can maintain life. According to the Head of Nephrology of Pushpawati Singhania Research Institute in New Delhi Dr Sanjiv Saxena Telling that, "Kidney Disease more triggered by the occurrence of adverse effects on Mellitus patients with diabetes, hypertension, kidney stones and also drugs antibiotics and painkillers. Disease this should be wary because they do not have the initial symptoms of a specific disease to kidney failure." Dr Sanjiv also added that people with diseases such as diabetes and hypertension Mellitus encouraged to frequently check blood sugar levels and blood pressure and also frequent check-ups. Better to prevent than to cure. Perhaps the adage that are most appropriate for disease problems. Prevention of kidney disease can be done with a healthy lifestyle, controlling the food, do not consume alcohol, maintaining a healthy weight, reduce fat and cholesterol diet, avoid smoking and increase physical activity by exercising regularly. Thus an article about the symptoms of kidney disease you should know and be aware. may be useful for all of us.